Jewish Food Festival: Bubbie's Brisket and Family Recipes! OK, so I don’t know where to begin. As it so happens, I come from a long line of culinarians; from both the Pearlstine and Levy sides of the family. My roots come from northern and southern cuisine, although both grandmothers grew up in New York (Manhattan and Brooklyn). 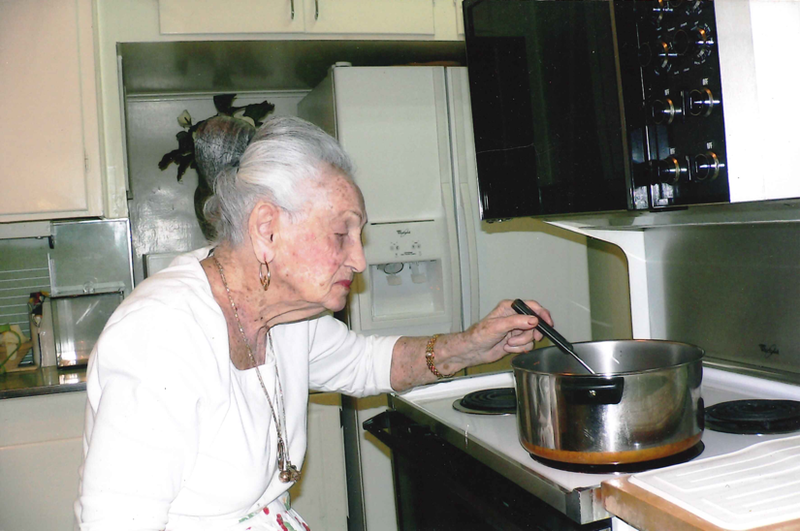 I can remember my childhood spending many Jewish Holidays with my grandmother, Florence Hirshman Levy, watching her cook, bake and prepare so many delicious Jewish dishes. Although she would shoo the kindala out of the kitchen, I was always very curious about her cooking skills. Not only was her cooking delectable, her hospitality was grand. Rosh Hashanah was truly the New Year celebrated with lots of family, friends, and soldiers from Fort Jackson, and Passover was no less a feast. The history of rugelach, the sweetest traditional Jewish pastry, is a fascinating one. Rugelach is rolled up dough with different fillings. It’s the history of rugelach that adds so many layers of flavor—starting with the name. The name, rugelach, is a mashed up Yiddish word that translates to anything twisted. Rog is Polish for ‘horn,’ the shape of the pastry that was created circa 1683, about the same time as the croissant. So, biting into a rugelach is biting into hundreds of years of delicious history and heritage. Spread the filling in a thin layer evenly over the surface of the dough. Make sure it goes right up to the edge of the dough. Slice the dough into 16 wedges, like a pizza, using a pizza cutter or sharp knife. Roll up each wedge, beginning at the wide outer edge and moving inward. Transfer to a parchment-lined baking sheet. Bake the pastries until golden-brown, 20-25 minutes. Cool on the sheet for 5 minutes; transfer to a wire rack. “What am I, CHOPPED LIVER? !” Chopped liver is a traditional Jewish dish that brings back fond memories for many Jewish families. The history of chopped liver goes back to Medieval Germany, where Jews bred and raised geese as the poultry of choice. The first Jewish chopped liver recipes were actually made from goose liver. Eventually, eastern European Jews began using chicken and beef liver and these recopies came across the ocean with immigrants through Ellis Island. With many vegetarians today, there is a ‘mock’ chopped liver made with eggs, walnuts, peas and onions. Chop nuts first, then add other ingredients and process until texture of chopped liver. So easy. In 2009, Bubbie's Brisket and Jewish Food Extravaganza began at Beth Shalom Synagogue. From the beginning, I have taken this fundraiser under wing and now serve as its chair. Recipes used to prepare the delicious offerings have been handed down from many generations. Bubbie's Brisket and Jewish Food Extravaganza, held this year on November 12th at Beth Shalom Synagogue from 11:00 a.m. until 3:00 p.m., will offer many Kosher Jewish foods that have been handed down through many generations. I hope you will be there. Find out more HERE.